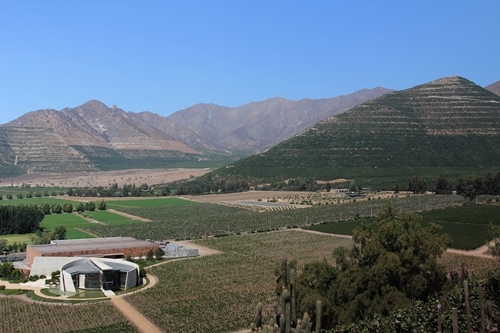 The Errázuriz/Chadwick family has deep roots in the Aconcagua Valley. The vineyards were originally established by Maximiano Errázuriz in 1870, and he did also purchase the land that now produce Viñedo Chadwick. Eduardo Chadwick is the 5th generation, and he has as Robert Mondavi and Nicholas Catena, opened the world’s eyes to his wines, by blind tasting them against the best in the world. Francisco Baettig has been in charge of the incredible portfolio of wines since 2003. 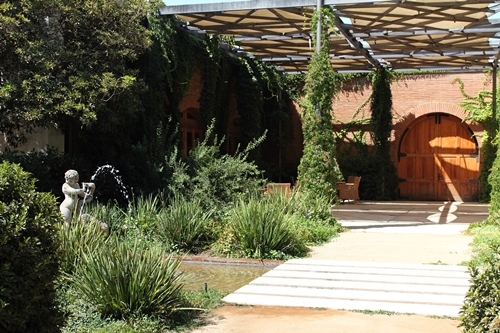 Their Cellar Door is set in the original winery from the 19th century, that is located approximately 100 km north of Santiago. The building has been carefully renovated with respect for its many historical details. The old cellars, found underneath the winery, are still in use. 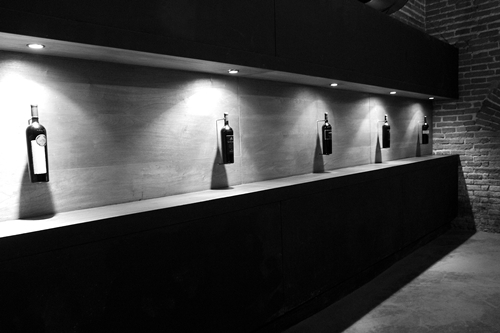 Here they barrel and bottle age their Icons and Reservas, as well as hold functions and events. Bottle ageing of their Icons and Max Reservas. 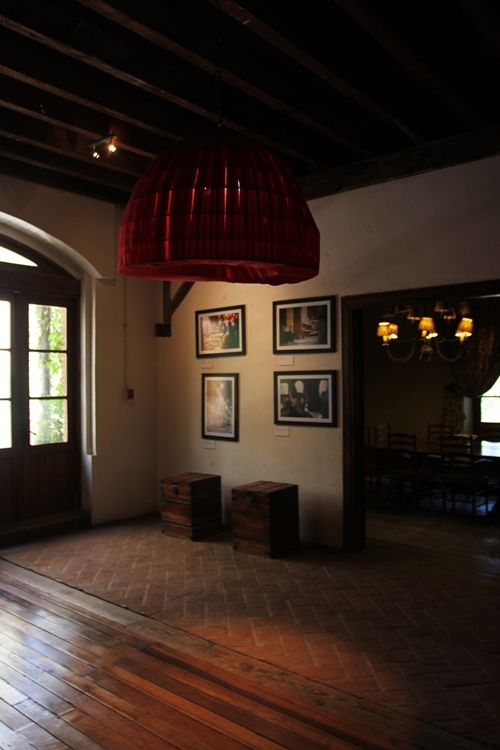 The beautiful old cellar has alluring features as the arched ceilings, here captured. 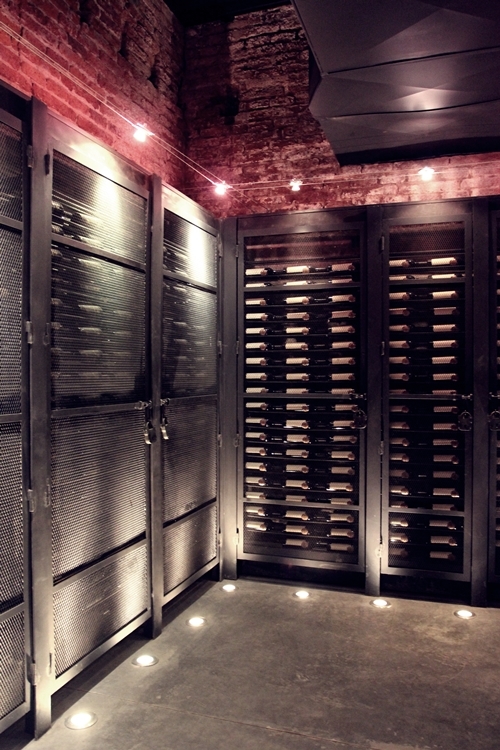 The cellar also holds a noteworthy library of their Icon wines. A complete collection of the Icons is kept in the vaults. Here the most recent vintages are displayed. From left to right; Seña, La Cumbre, Don Maximiano Founder’s Reserve, Kai, and Viñedo Chadwick. Viñedo Chadwick is the most hyped and valued of the Icons. It is made in honour of his father Don Alfonso, as the vineyard is planted at the Chadwick family home, that was once a polo field where Don Alfonso enjoyed his beloved sport. It was first released in 2002 from the 1999 vintage. The fruit comes from the remarkable Cabernet vineyard in Puente Alto. The terroir is regarded among Chile’s most renowned, and the vineyard neighbours some of the country’s finest Estates. 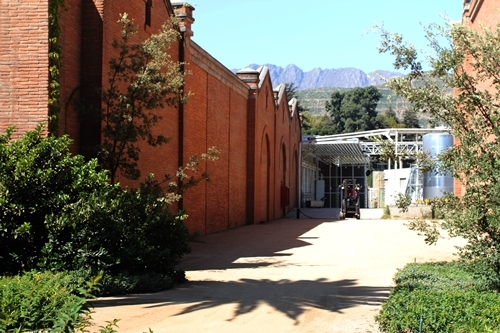 The cellars provide a brilliant ambience for their functions and events. The cuverie, where their Max Reservas are processed, neighbours the old winery and is build in a similar style. 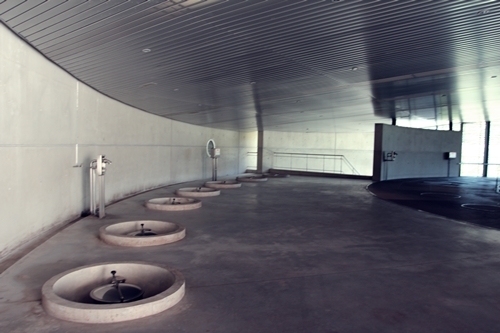 The size of their Max Reserva tank room can give one an indication of Viña Errázuriz’s magnitude in the industry. 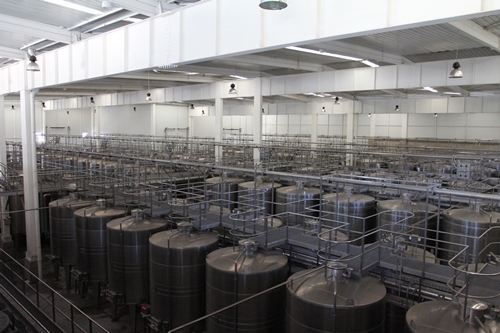 The considerably sized winery is fully equipped with modern facilities designed to follow the principles of gravity flow. The Max Reserva tank room. 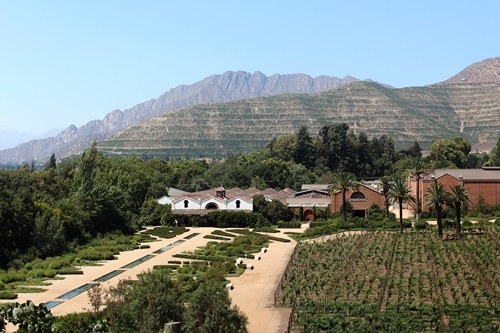 A visit to Errazuriz also includes a walk up the vineyard and hillside west of the winery. From the top you have spectacular views across the Aconcagua Valley, where they have seven of their vineyards positioned. These are named Max I-VII, after the founder. You can moreover see the vineyards of the neighbouring Viña von Siebenthal. 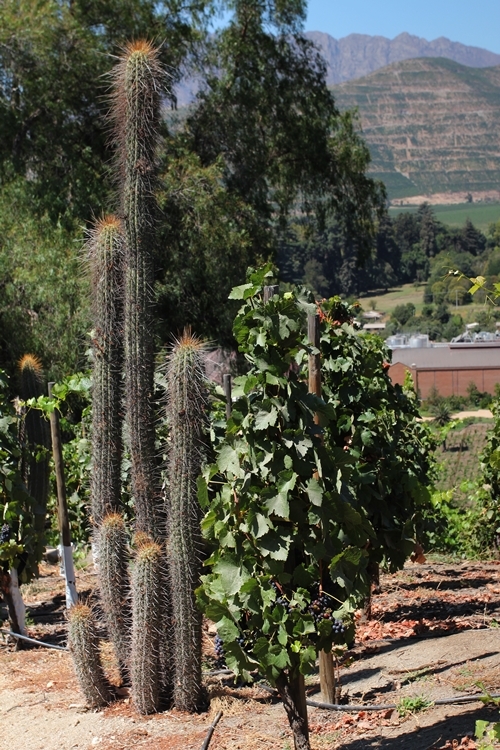 The cactus plants stand majestic next to the vines, reminding you that it is in fact Chile’s driest wine region. 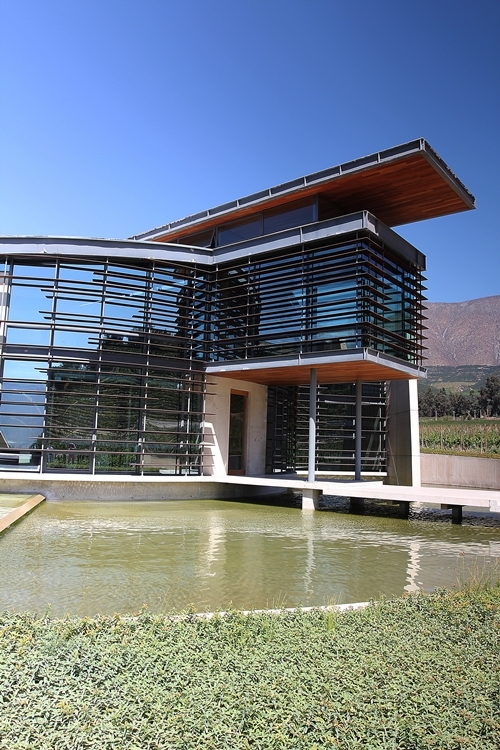 The Don Maximiano Icon Winery is set in astounding modern architecture, remarkably different to the neighbouring Errázuriz winery. 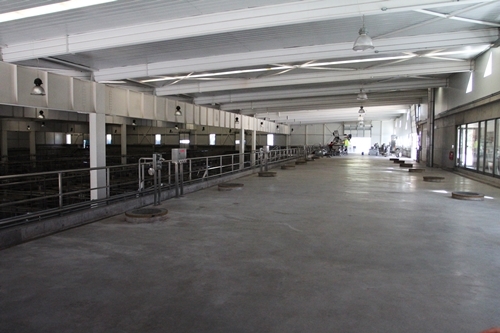 The state-of-the-art facilities process both the fruit for the 3 Errázuriz Icons and Seña. The architecture does not hide that it is designed with both representation and production in mind. 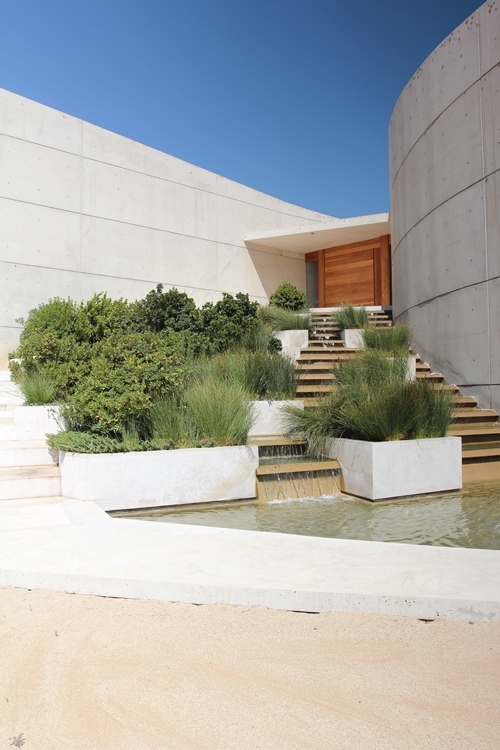 What an entrance; it resembles more a modern art museum than a winery. Architecture that moves you – just as great wines should. The top floor of the winery. View from the private tasting room. 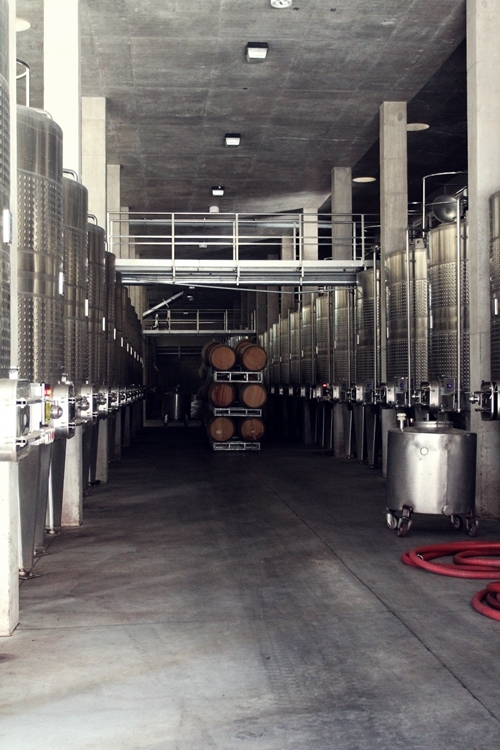 The wines are fermented in both steel and oak. Fermenting the wine in oak demands a lot from the initial fruit, yet it gives several advantages, as the wine can breathe. The oak will often soften the tannins and the wine can gain complexity even before it has barrel aged. The barrel room found at the bottom floor. Our Icon tasting was held at the Errázuriz winery. Here one of the charming gardens that surrounds the old winery. 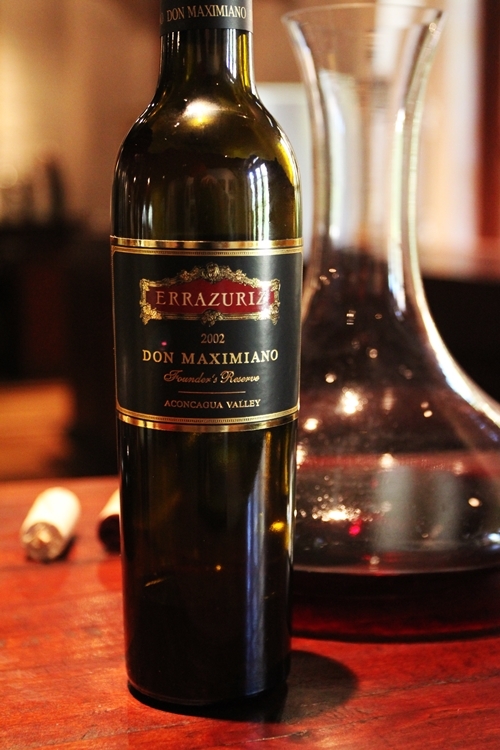 The Don Maximiano Founder’s Reserve is named after the winery’s founder, and it is made to represent their heritage; ageing gracefully. A complex wine that present the brilliant match between the Aconcagua terroir and Cabernet Sauvignon. The fruit used for this wine comes from the stony granite soils found in the hillside Vineyards, Max I and Max II, planted in 1978 and 1993, respectively. The blend changes from year to year, and can have multiple varieties included. 2002 is a blend of 91% Cabernet Sauvignon and 9% Shiraz. The fermentation was extended for up to 30 days in stainless steel, and it was aged for 19 months on new French oak. The wine is in my opinion very undervalued. The vintage was cooler than regular helping towards developing a more complex layered palate. Its rich density and pleasing forward aromas makes it very intoxicating. KAI is the newest Icon, hence it was not not launched before 2005. It has though quickly gained great acclaim. The wine is based on Carmenère, a Bordeaux variety that was lost and rediscovered in Chile. 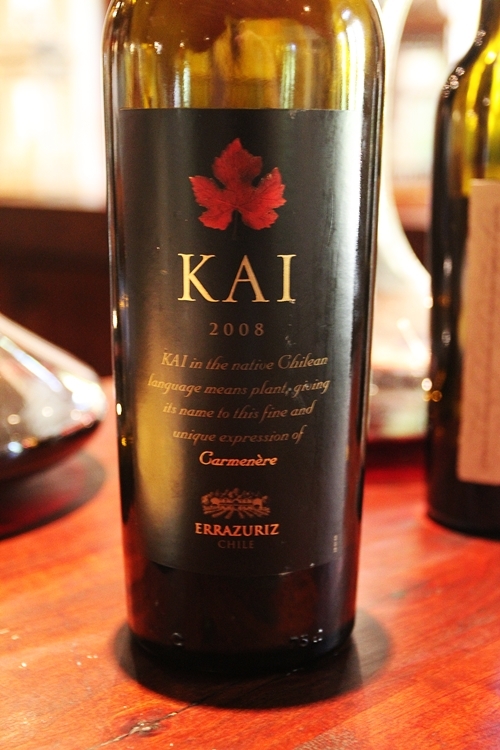 Since the Carmenère vines were discovered because of their red coloured leaves, KAI is also decorated with the iconic leaf on its label. The Carmenère vines used for this wine are planted in alluvial and colluvial soils with loam, sandy-loam and stones, found in the Max II and Max V vineyards, which were planted in 1992 and 1993. We sampled the 2008 vintage. It is a blend of 92% Carmenère, 5% Syrah, and 3% Petit Verdot. Fermented on stainless steel tanks, and aged on new French oak for 20 months. The velvety thick textures that coated the glass, had intense spicy aromas of grilled peppers and white pepper. The secondary layers were rich and complex. A real performer that highly exceeded my expectations. Seña was originally established as a joint venture between Errázuriz and Napa’s Robert Mondavi in 1995, it is though now owned solely by Eduardo Chadwick. We sampled the most recent vintage from 2011. It is a composition of 58% Cabernet Sauvignon, 15% Carmenere, 15% Merlot, 7% Petit Verdot, and 5% Cabernet Franc. It has spent an impressive 22 months on 75% new French oak. Density was lingering and rich, its colour deep and intense. I must though admit that the wine felt quite subtle and closed to me, so I unfortunately did not get to witness its full potential. I got hints of pepper, sage and violets. Sublimely complex no doubt, yet at a confused state. Look forward to sample it again in the future.